There are so many ways to use houmous. 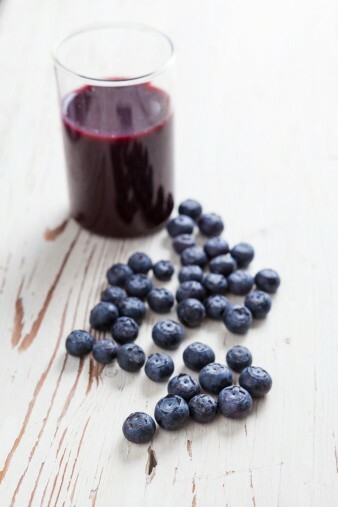 Whether you dunk it as a dip, spread on some bread, or add to a sauce, it can always be relied upon to pack a punchy flavour to an otherwise drab snack. Well, don’t tell anyone, but I think I may have found one that offers a different experience but still has that underlying savoury kick of a good traditional humous. Try Moorish (by name, and moreish by nature) and you will not be disappointed. One taste is an explosion of flavours. They offer 3 tantalisingly tasty smoked versions of houmous: Original, Lemon & Dill and a fiery Chilli Harissa. Each is one is generously flavoured but not too bulked out with oil which means they’re also a lower fat alternative to traditional humous. Five additions to the nut and seed butters range which will, believe me, get some of us healthy nuts very excited. Health conscious customers have been crying out for a variety affordable nut butters. 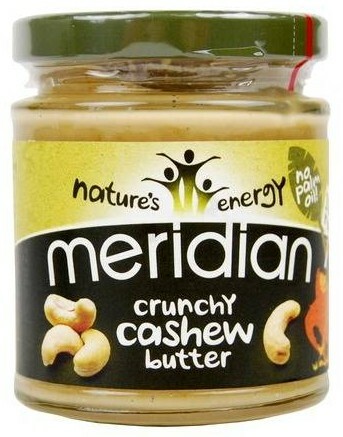 So Meridian are responding with more versions including a sunflower seed butter, an almond butter and a cashew butter – both smooth or crunchy. That’s on top of other wholegrain butters like hazelnut, pumpkin seed and brazil nut! As wholegrain foods all these spreads are 100% nuts or seeds and contain no added palm oil, sugar or salt. We all need a little sweetness at times. Now, Peppersmith have come up with the cutest if ideas. Having already made stylish gum and mints for vegans and coeliacs, Peppersmith have launched a new range of sweets especially for kids. Tingz sweets are good for teeth because they are made with British Dental Health approved xylitol. So they are sugar free and free from artificial flavours, colours and preservatives. Still suitable for vegans and gluten free, Tingz available in orange & mandarin or strawberry & vanilla. Amisa are doing it again. The organic firm, famous for their healthy food for dietary needs, are now introducing a range of gluten free pastas. – Highly appropriate for Coeliac Awareness Week. First up there’s some appetising wholegrain rice fusilli and penne. The trick with cooking rice pasta is to include some olive oil and salt in your water. Then, when you add the pasta at boiling point, stir immediately to separate the pasta and keep stirring until the water is bubbling again. This stops the pasta sticking together. After this turn the heat down to a simmer and stir every half a minute. Fortunately rice pasta cooks quickly so this won’t take long. Finally, when you’ve finished cooking, drain the water off as soon as possible to prevent overcooking. 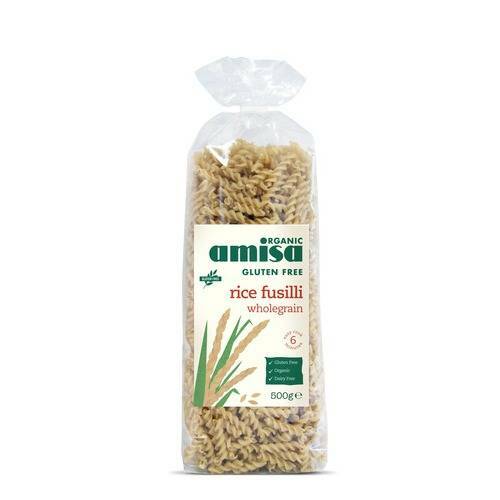 Amisa also have some golden corn and rice pastas in the form of fusilli, rigatoni and spaghetti. Fortunately, this cooks just the same way as normal rice pasta. But it’s so quick to make, it’s low in fat and you can flavour them with pesto, saffron, garlic, anything. 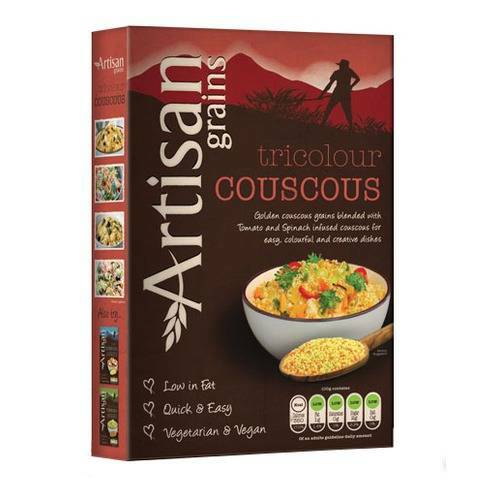 So I’m delighted to learn that Artisan Grains are offering a Pearl Couscous (slightly larger rounder grains often treated as a delicacy), and a Tri-Colour Couscous made up of golden couscous, tomato infused couscous and spinach infused couscous. But Artisan Grains’ passion for natural grains doesn’t stop there. They also supply Royal Quinoa (again, larger than your average quinoa grain) and GoodnessDirect are soon to take on their Chia Seeds (a high energy and very nutritious grain) and Greenwheat Freekeh (a nuttier tasting toasted grain). Look out for their variety of Nut Roasts too. Today marks the start of Coeliac Awareness Week. Watch Catriona doing the first review of one of our Top 10 gluten free breads: Biona Organic Rice Bread.